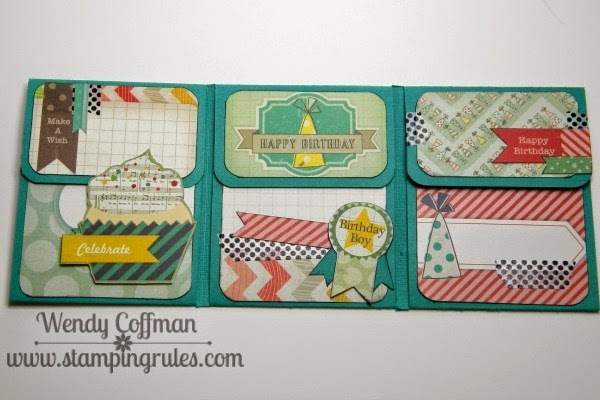 I had done one of my pocket scrapbooking mini albums for a class at a local scrapbook store that ended up not happening, so I thought I'd share anther mini with you - birthday themed this time! 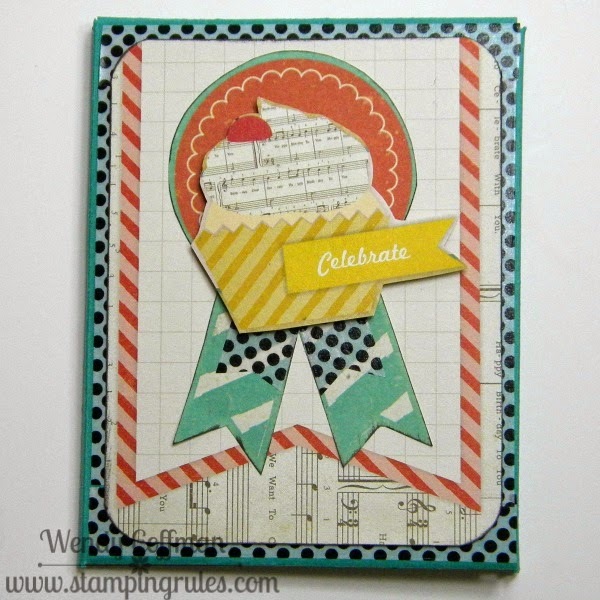 I used the Becky Higgins Celebrate themed Project Life cards and a black/white polka dot washi tape.Still no extra embellies - just cardstock, cards, and washi! 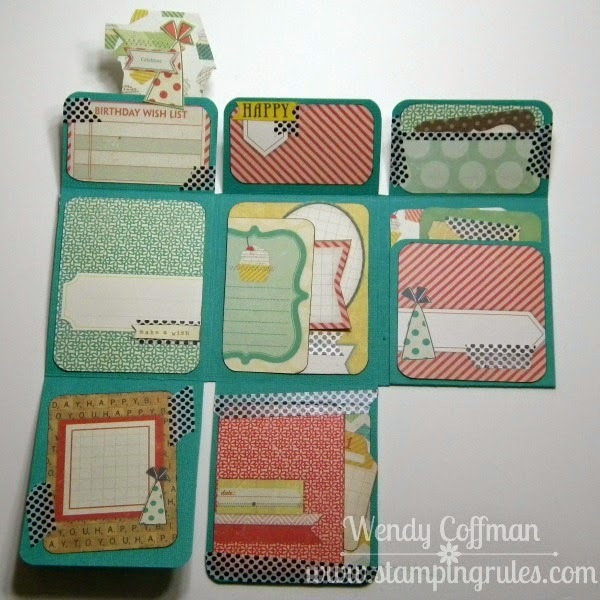 I added an adorable cupcake trimmed from a card overlapping the flaps. You could tuck a gift card into the pocket and add a few photos to make this a special birthday card too. You can find the ordering info on my PML mini album kit here. I'll share some of the cards next week!